Have You Heard of Resveratrol for Weight Loss? MetaShaper contains Resveratrol, one of the most exciting nutrients discovered recently. 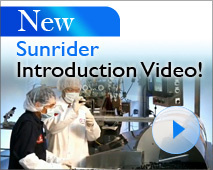 Dr. Tei-Fu Chen is the founder of Sunrider, our exclusive manufacturer and the company that has been creating the best healthy foods, beverages and herbal supplements in the U.S.A. since 1982. Tei-Fu MetaShaper helps your body to transform naturally. This perfectly calibrated natural weight loss formula contains an exclusive combination of antioxidants, plant extracts, Resveratrol and green tea catechins to help increase metabolic efficiency, so you feel lighter, healthier, and more energetic. Reduces free radicals that cause cell damage as we age. 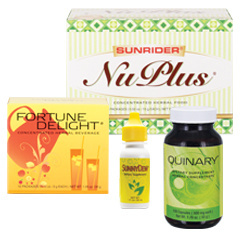 Reduces triglycerides, fatty acids and cholesterol. Resveratrol has been shown to dramatically slow the aging process! It was originally discovered in red wine, but you would have to consume hundreds of bottles of red wine to gain the benefits. Resveratrol is high in antioxidants and commonly found in grapes, giving wine its reputation as a healthy drink. In fact, you would need to drink 100 bottles of red wine to equal the amount of Resveratrol in just 3 Tei-Fu MetaShaper caspsules. Resveratrol has been linked to reduced calorie intake, lower cholesterol and greater longevity. Nutrition experts say that Resveratrol is the most important discovery since antibiotics and may very well be the most powerful tool available today for natural weight loss. Dr. Tei-Fu Chen is a master herbalist who knows how to combine the proper ingredients for optimal safety and results. That is why you can be sure that MetaShaper is safe and effective. Recommendations: 2-3 capsules with meals 3 times per day. The video below features Dr. Tei-Fu Chen’s son, Reuben K. Chen, MD discussing Tei-Fu MetaShaper.